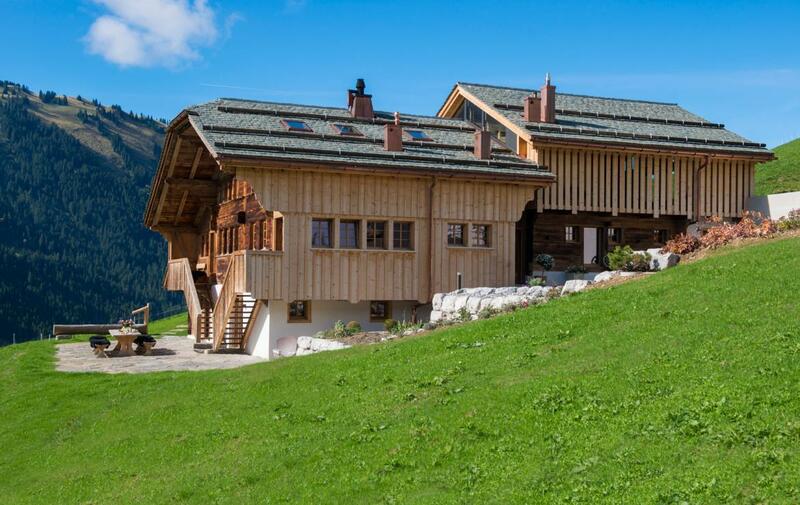 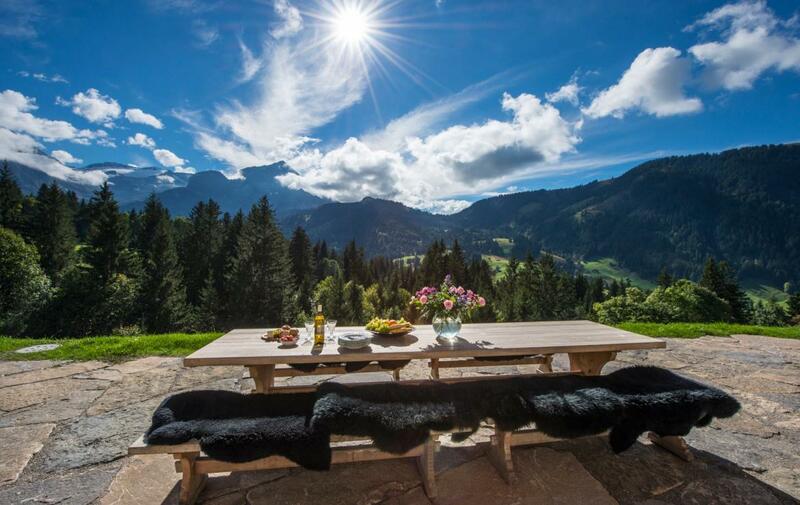 Nestling in traditional farmland high above the exclusive hamlet of Lauenen, the chalet’ elevated position affords it breath-taking views of the surrounding peaks. 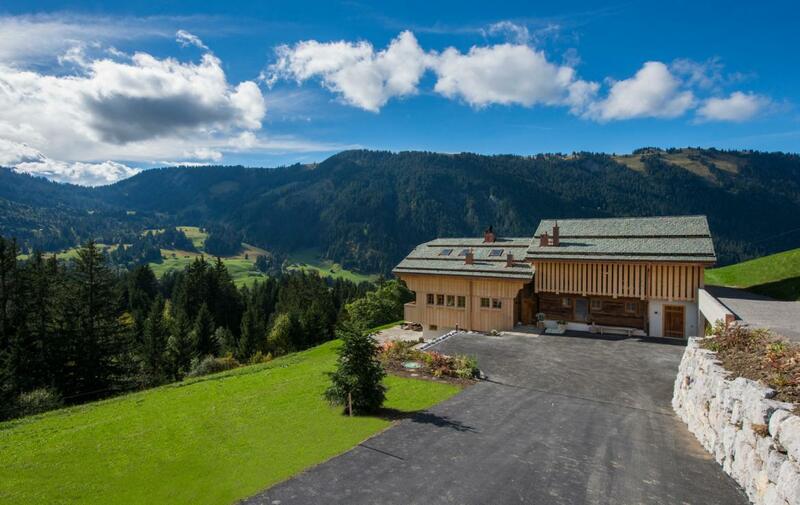 Under a 10 minute drive from the centre of Gstaad its secluded position is perfect for clients seeking a high degree of privacy and security. 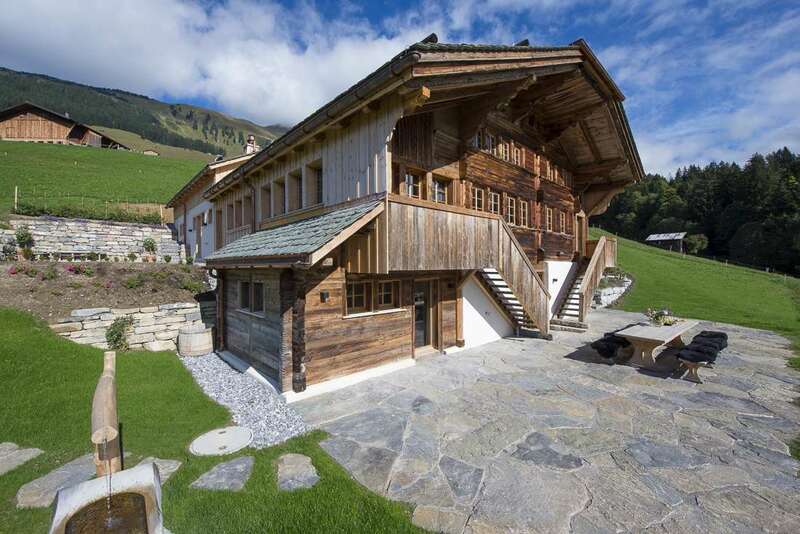 An original farm house dating from 1867 the property has been transformed into a truly impressive alpine home. 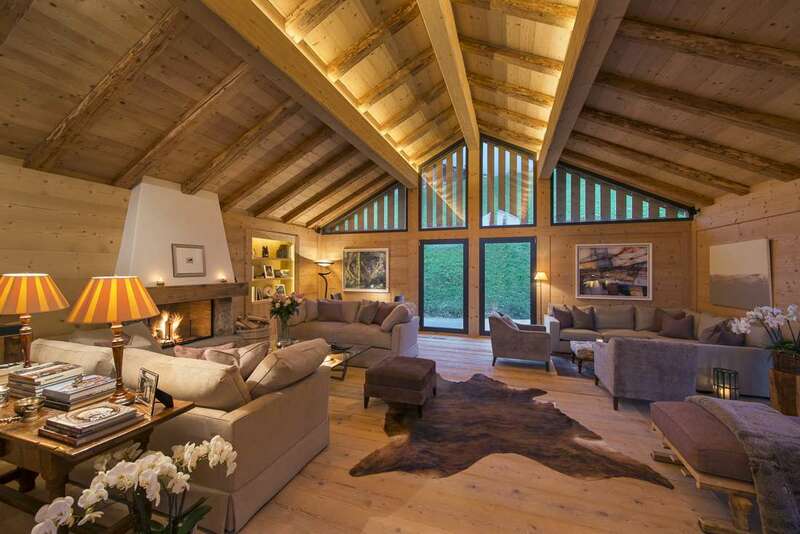 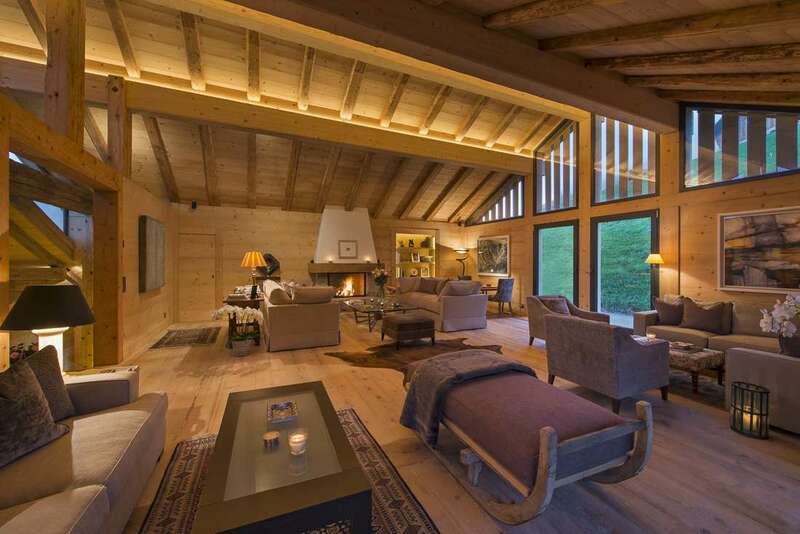 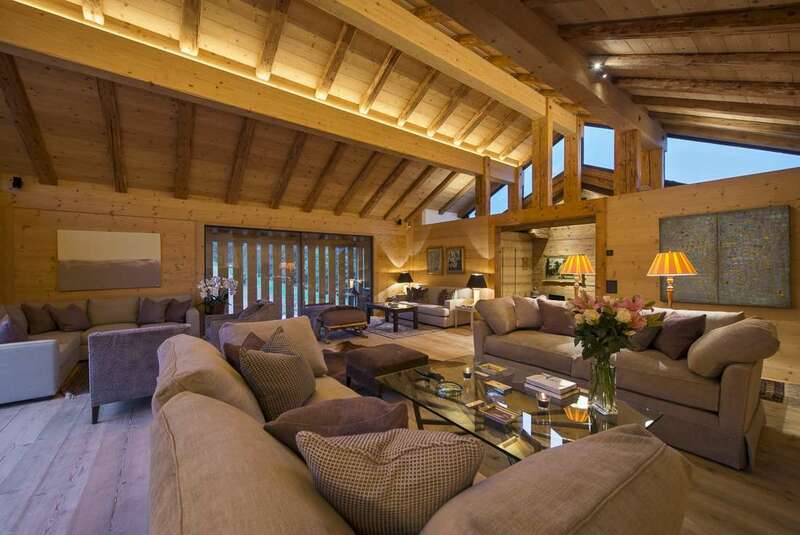 Many of the original features have been retained and the chalet makes use of the original wooden beams and paneling. 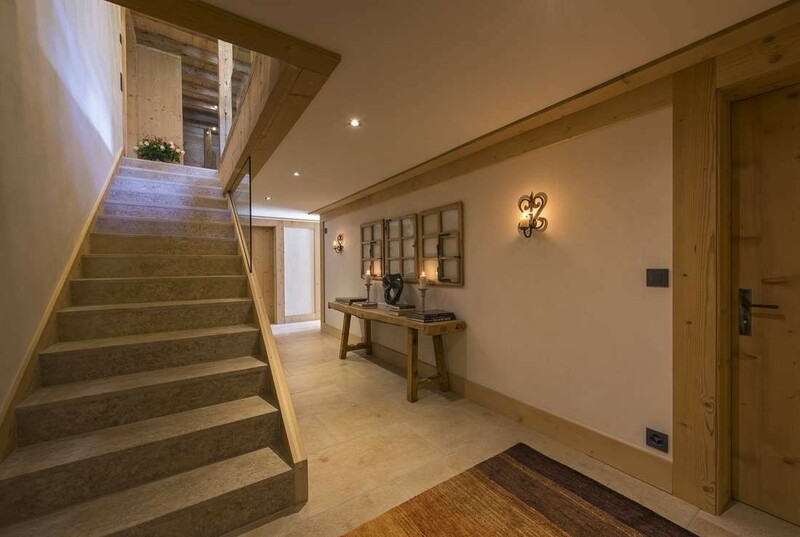 Sumptuous fabrics, contemporary furnishings, sculptures and art have been combined with aged woods, natural stones and traditional detailing to create a very comfortable and chic property. 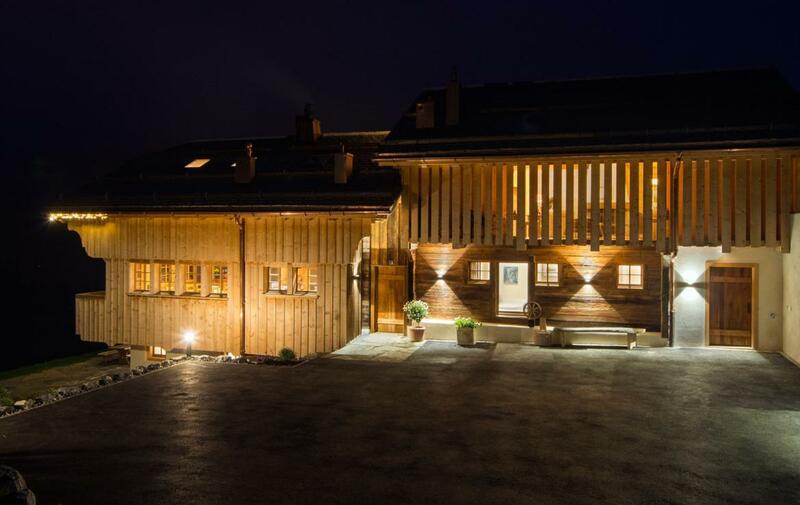 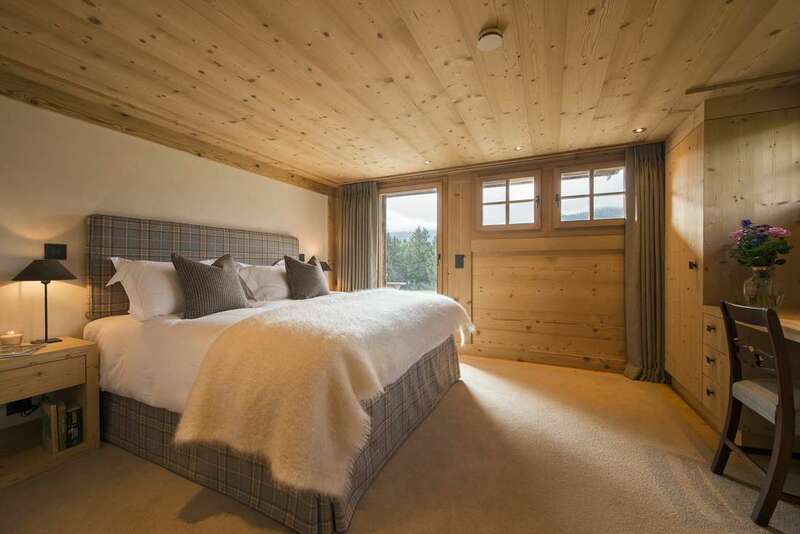 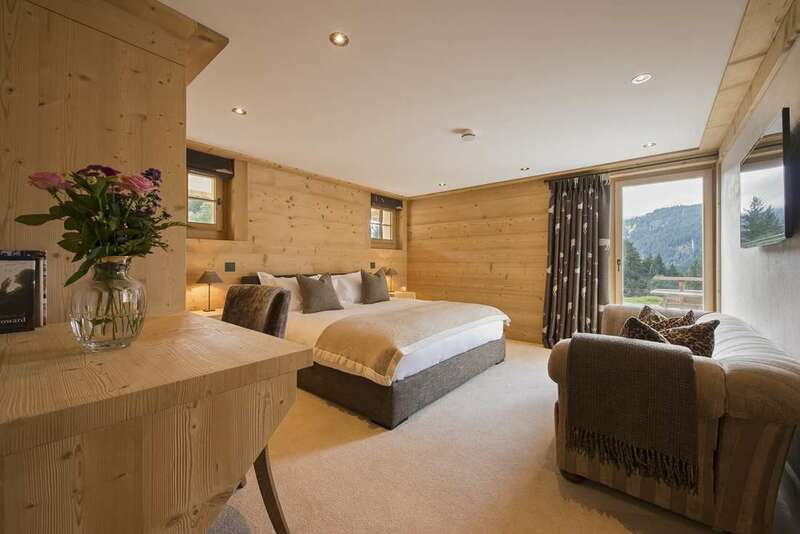 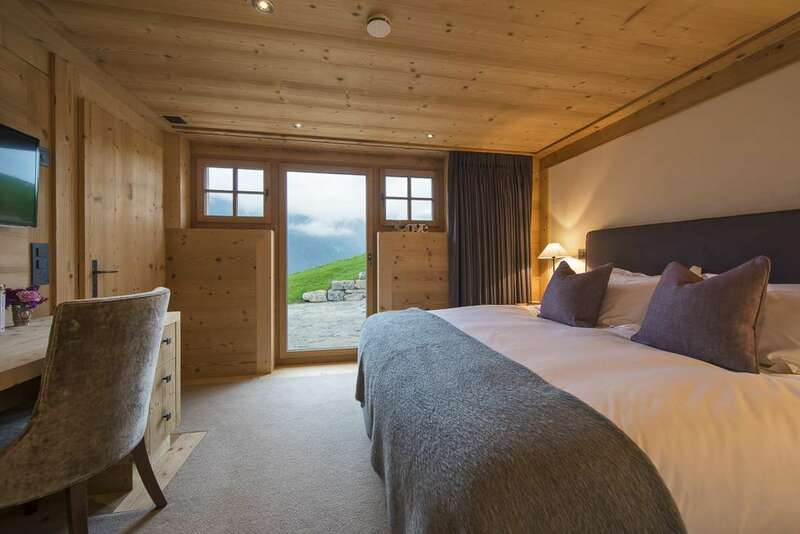 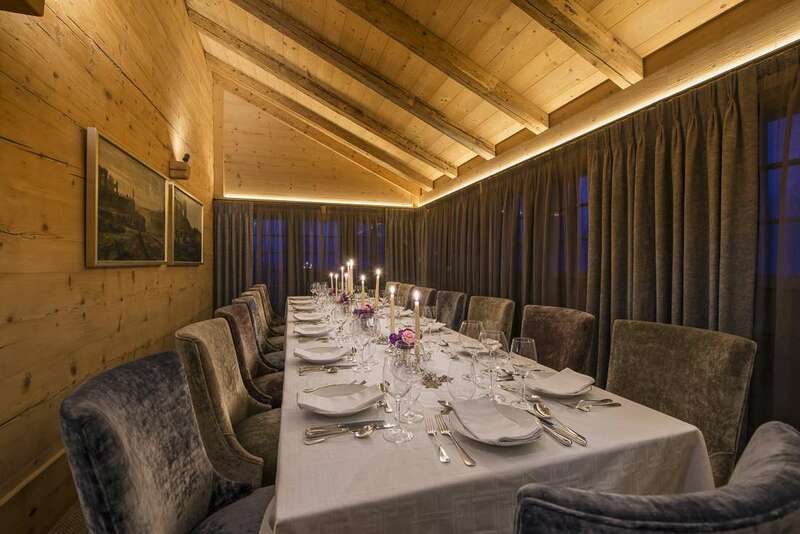 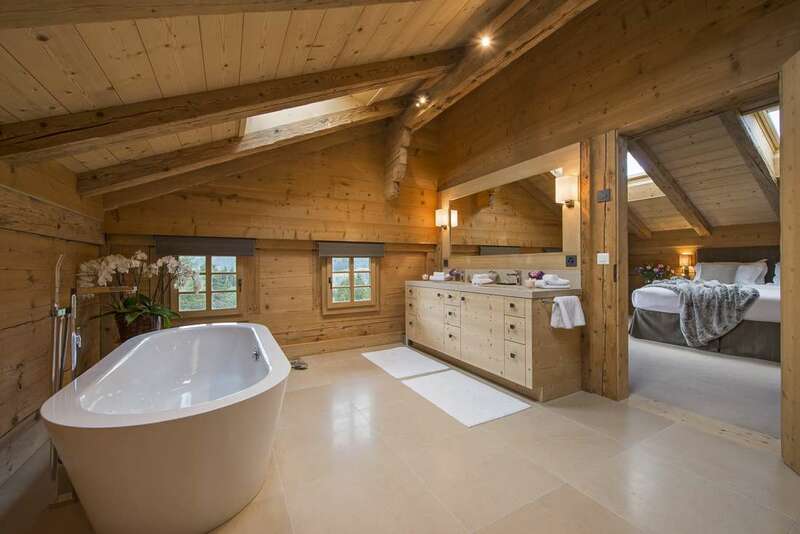 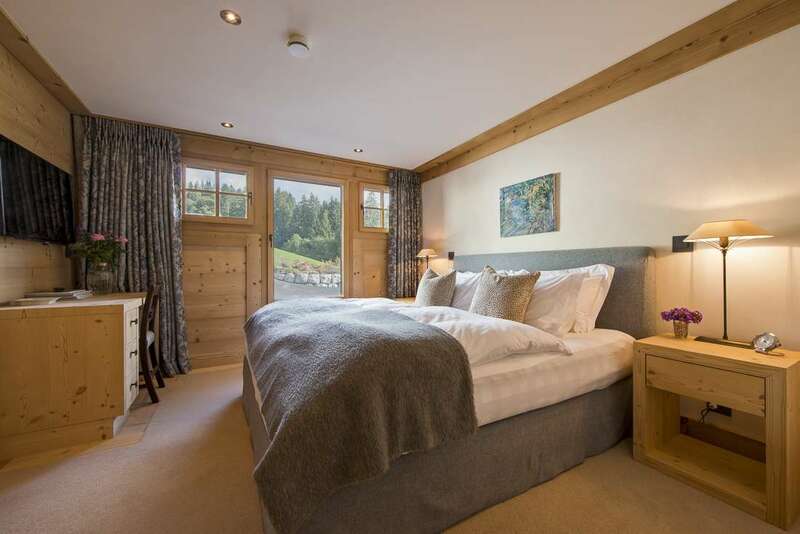 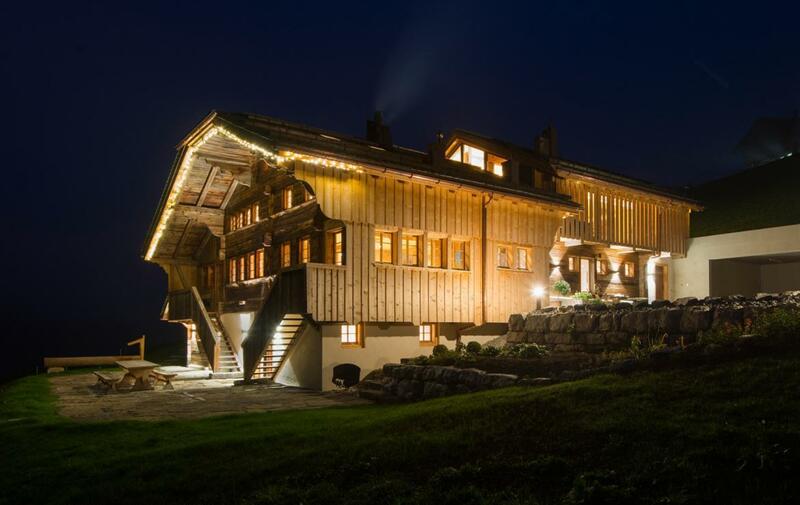 Sleeping 14 people in 7 en-suite bedrooms the chalet is set out over three floors and boasts an extensive and sophisticated living area and separate dining room seating up to 18 guests, perfect for entertaining. 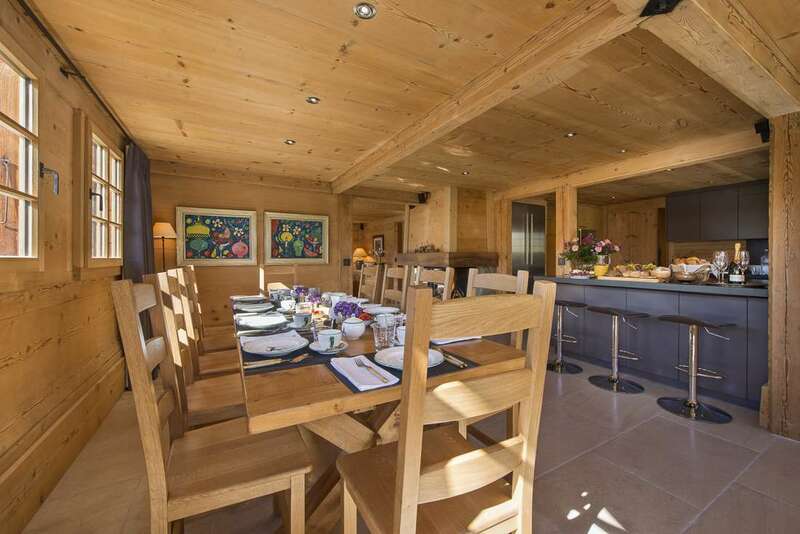 The chalet has a further open plan breakfast room and second living area as well as a cinema room, small gym, sauna and outdoor hot tub. 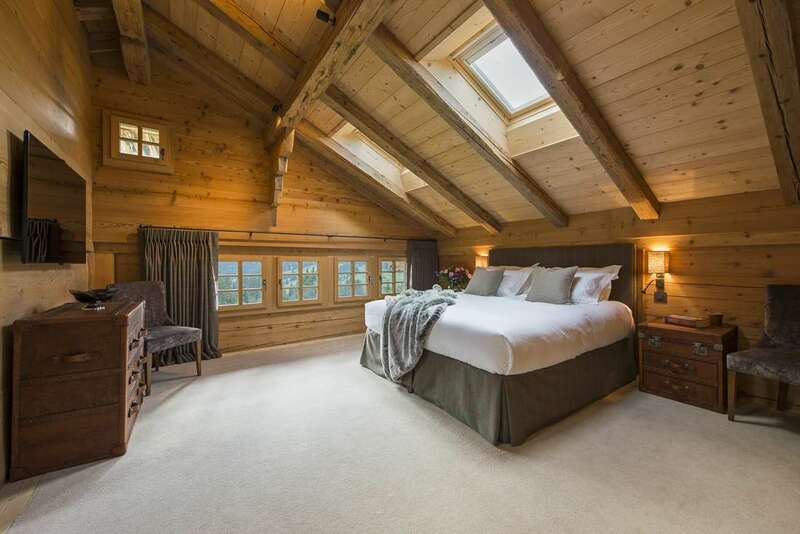 The top floor of the property houses the living area, master bedroom with impressive en-suite bathroom and dressing room and a double bedroom with en-suite shower room. 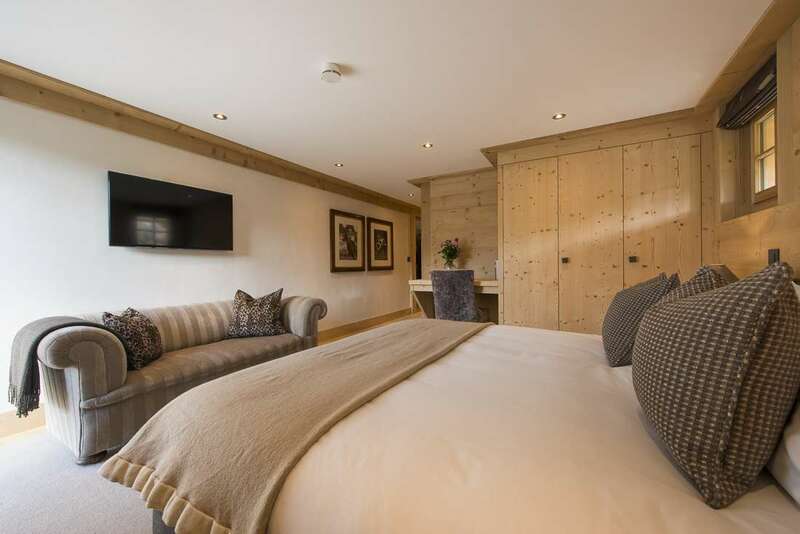 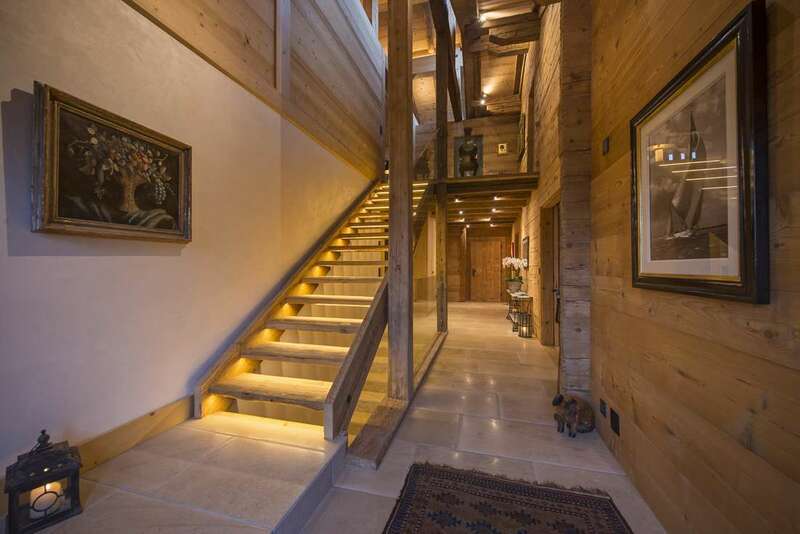 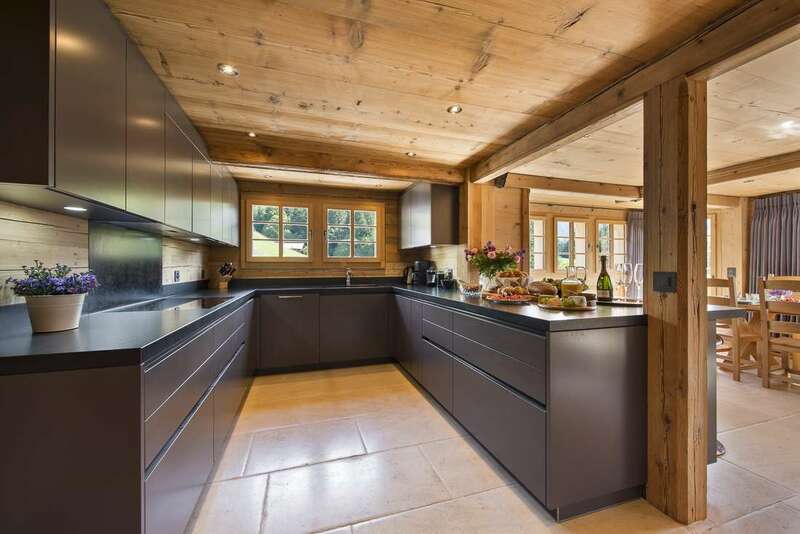 The main entrance of the chalet is located on the ground floor where a further three en-suite bedrooms (2 doubles and 1 twin), the open plan kitchen and second living room, guest toilet, ski and boot room and the dining room (seating 18) are all located. 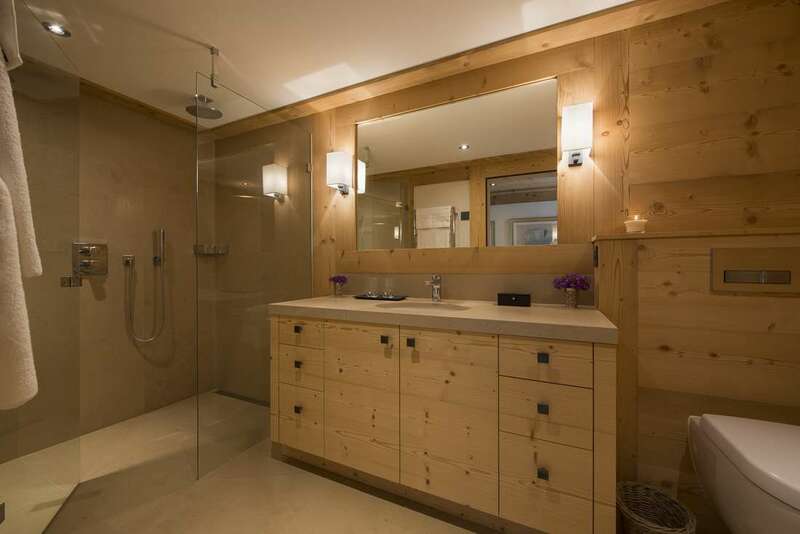 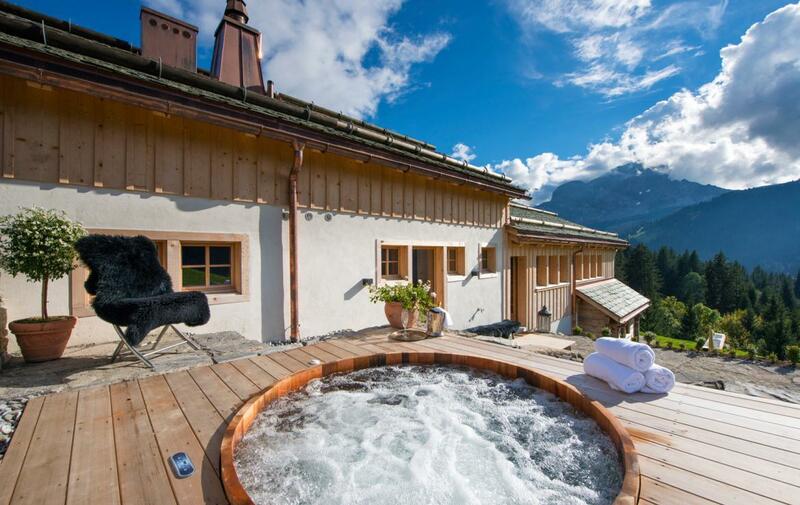 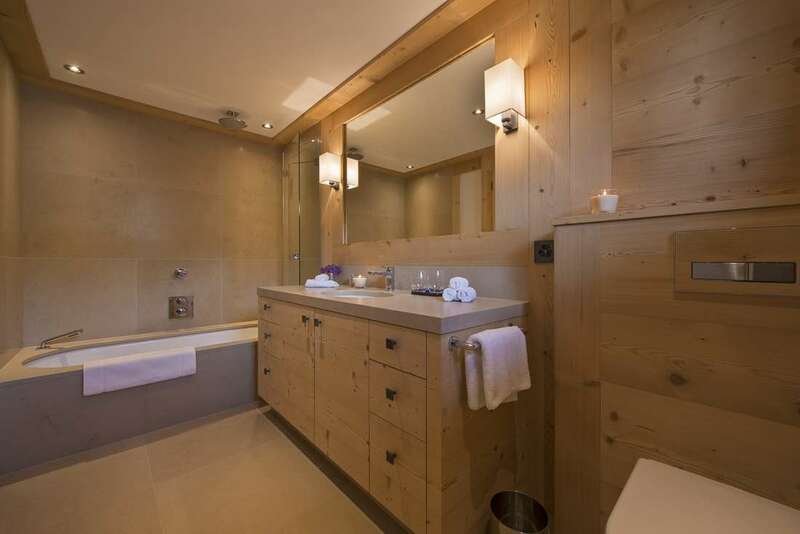 A cedar hot tub is sunken into the stepped terraces to the side of the chalet accessed from the living area. 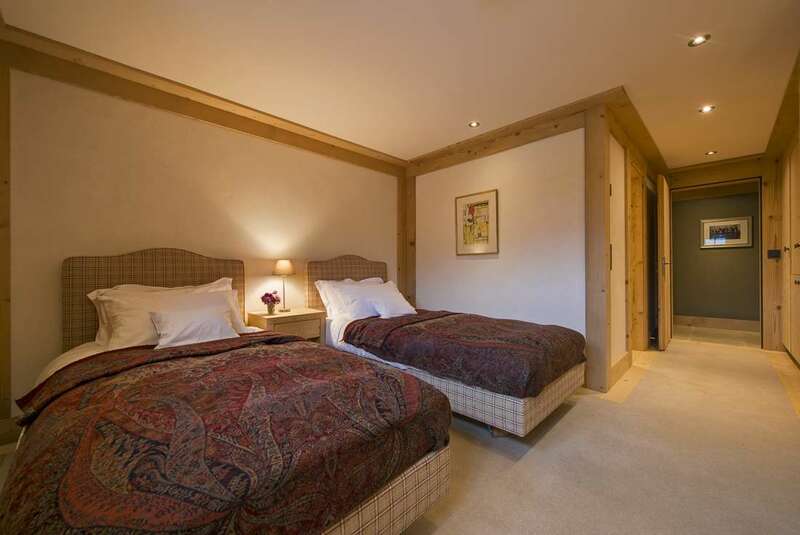 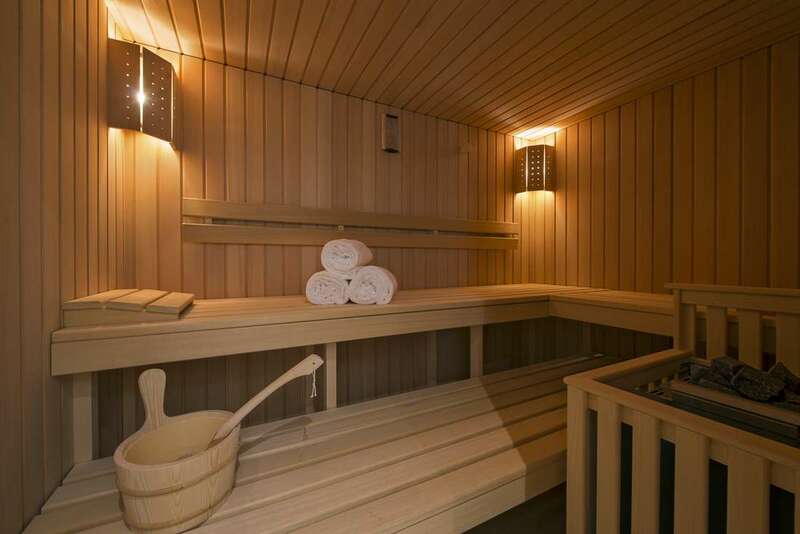 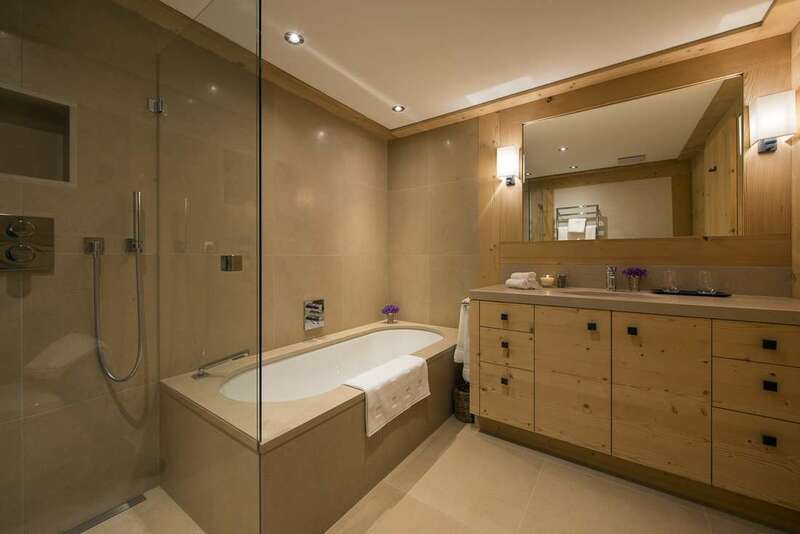 The lower floor has two en-suite bedrooms, a laundry room and cinema room as well as a small gym and sauna. 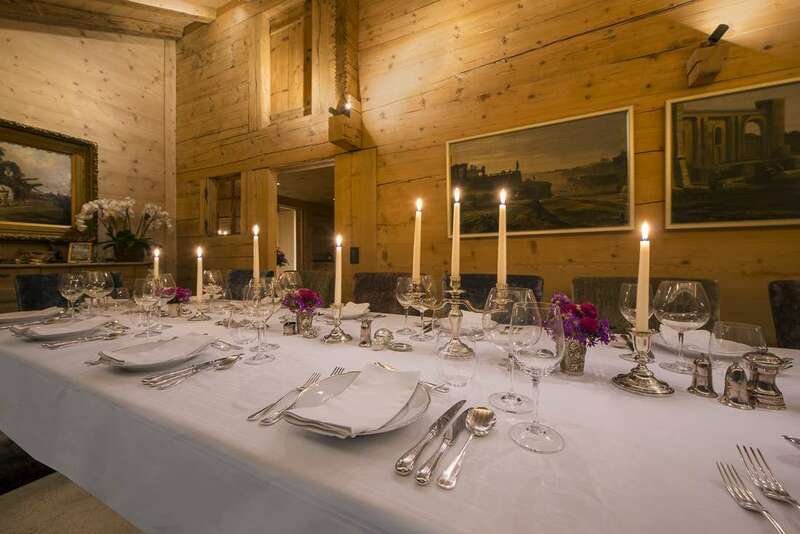 Chef, butler, driver etc are available on request.